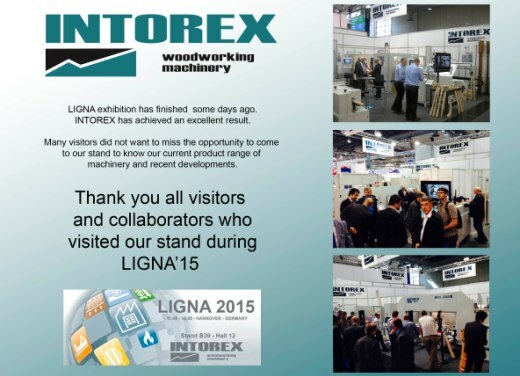 LIGNA 2015 was held in Hannover (Germany) with a great success during 11th to 15th of May 2015. The official numbers communicated during the Fair’s final press conference state that the 2015 Fair had increased attendance over the 2013 Fair. Customers from 18 different countries visited INTOREX booth being able to see the constant demonstrations of all the machines on display. We showed the new 3 axis CNC machining centre. The best new way to produce baby chairs, beds, baby beds, sunbeds and many others furniture parts. It is fitted with a pneumatic clamping system and fully automatic loader and it has the capability of drilling, mortising and milling.